Written by Dr. Alok Vinod Kulkarni and medically reviewed by iCliniq medical review team. Brain stimulation therapy is a broad term that encompasses a set of techniques used to stimulate brain cells. After having psychotherapy and highly effective psychotropics in their treatment armamentarium, psychiatrists are now foraying into the field of interventional psychiatry. However, these therapeutic interventions are non-invasive. That is, no surgical incision needs to be made in order to administer these interventions. The only exceptions to this are deep brain stimulation (DBS) and vagal nerve stimulation (VNS). The non-invasiveness of these procedures confers a huge advantage to the patients. While invasive surgical procedures are fraught with numerous risks, these brain stimulation techniques are very safe. These techniques primarily employ electricity, implants or magnets to treat a host of complex neuropsychiatric conditions. Repetitive transcranial magnetic stimulation (rTMS). 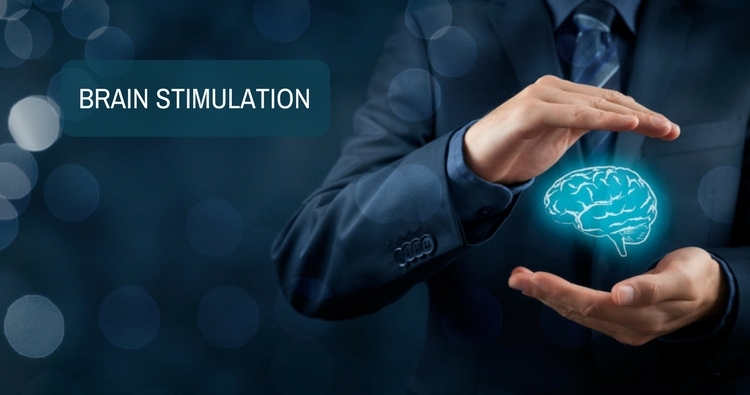 Transcranial direct current stimulation (tDCS). Focal electrically administered seizure therapy (FEAST). The electroconvulsive therapy (ECT) was developed in 1938 by Ugo Cerletti and Lucio Bini. Unfortunately, ECT has been portrayed in poor light in the media. On the contrary, it is a life saving technique and is highly efficacious. No pain is felt during the procedure as the patient is anesthetized. Most commonly, ECT is used in the treatment of intractable mood disorders. These include severe depression with psychotic symptoms and treatment-resistant depression. ECT is the gold standard treatment in patients harboring suicidal tendencies. Suicidal ideas abate after three to four treatments and the patient reaches his or her pre-morbid self after about six treatments. ECT is also used in the treatment of bipolar disorder and treatment-resistant schizophrenia. It should be noted that ECT is particularly effective against the positive symptoms of schizophrenia. Do my symptoms indicate bipolar disorder or schizophrenia? Taking medicines for bipolar disorder, but unable to sleep. Is there any suggestions? This modality differs from ECT and in that it employs a magnet instead of an electric current to stimulate the brain. It was approved for the treatment of major depressive disorder (MDD) in 2008. Recent data indicate good efficacy of this modality in tackling depressive disorders, treatment-resistant auditory hallucinations of schizophrenia and negative symptoms of schizophrenia. It targets a specific brain area which is pre-determined before administration. A typical session lasts anywhere between 30 to 60 minutes and does not require anesthesia. The procedure involves the placement of an electromagnetic coil against the forehead. This coil is held near the area of brain that is thought to regulate mood and emotions. The generated magnetic pulse traverses across the skull and results in stimulating a specific brain area. The pulsed magnetic wave can traverse only as far as 2 inches into the brain. This prevents damage to other critical brain areas. Some common but negligible side effects include scalp discomfort and headache. It is imperative to rule out seizure disorder before administering rTMS as in some predisposed individuals, there exists a theoretical possibility of precipitating a seizure. However, it is a very safe and highly efficacious procedure. This is an amalgamation of ECT and rTMS as it draws from the concepts used in the aforementioned procedures. Like ECT it produces a short lasting seizure and like rTMS it uses a magnetic pulse to produce this. It differs from ECT and in that it does not use electricity to generate a seizure. The patient is anesthetized and is unaware of the seizure. Recent data confirm its efficacy in the treatment of mood disorders. The advantages of MST over ECT include a shorter lasting seizure and fewer memory side effects. In this modality, an implanted device beneath the skin generates electrical pulses through the left vagus nerve. This nerve transmits signals from the brain to a host of other organs like the heart, lungs and other brain areas that regulate core functions like mood and sleep. This modality of treatment was initially devised for the treatment of epilepsy. It soon became clear that it was indispensable in the treatment of mood disorders, especially depression. VNS critically modulates the levels of brain chemicals called neurotransmitters. These include serotonin, norepinephrine, GABA and glutamate. These brain chemicals play a vital role in mood regulation. The pulses generated by the device last for 30 seconds and are generated about every 3 to 5 minutes. The pulse generator is a battery assisted device which has a lifespan of about 10 years after which it should be replaced. Once these pulses reach the left vagus nerve, signals are delivered to brain areas controlling mood resulting in modulation and regulation of the mood state. Some adverse side effects include infection of the implanted device, cough, sore throat, hoarseness of voice, tingling and discomfort. However, these occur in a minor proportion of individuals and are handled on a symptomatic basis. Data indicate that VNS is a safe and effective procedure. This is an invasive procedure and requires brain surgery. The head is shaved and attached to a sturdy frame with the help of screws. This is done to keep the head stable during the procedure. The brain is scanned using magnetic resonance imaging (MRI). The scanned images are used during the surgery which guide in the placement of the electrode in a specific brain area. The patient is awake during the procedure but feels no pain as the head is numbed with a local anesthesia. During the procedure, two holes are drilled into the head. A slender tube is threaded into the brain to place electrodes on a specific brain part. In case of depression, these electrodes are placed in area 25 of the brain which has been found to be hyperactive in mood disorders. The cortico-striato-thalamic tract is targeted in case of obsessive compulsive disorder and the sub-thalamic nucleus is targeted in case of Parkinson's disease. Throughout the procedure, the patient guides the placement of these electrodes by providing feedback on how he or she subjectively feels about his or her symptoms following the electrode placement. The exact site is determined when the patient tells that his or her symptoms have abated maximally in one particular position. Following this, the patient is put under general anesthesia and the electrodes are attached to wires that run from the head to the chest. In the chest, pair of battery operated device is implanted which generate electrical pulses continuously to the electrodes placed in the brain. DBS carries with it the risks that are associated with any other invasive brain surgery. These include bleeding, infection, altered mental state, lightheadedness and sleep abnormalities. However, if done by an experienced hand, the procedure is quite safe. In summary, these novel modalities of treatment in psychiatry hold a great promise for the future. It is imperative to build awareness and educate the public about the availability of these therapeutic modalities. All these techniques fall under the rubric of interventional psychiatry, which is the bright new face of a specialty that has dedicated itself to alleviate the suffering of mankind. Do you have a question on Electroconvulsive Therapy Ect or Obsessive Compulsive Disorder? What are the ways a neurosurgeon can get access to someone's brain?